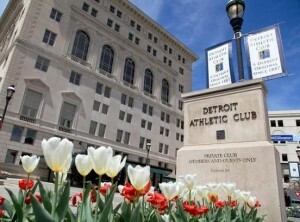 Invit ations to this year’s Annual Luncheon, to be held at noon on Thursday, April 14 at the Detroit Athletic Club, have just gone in the mail to Society members. The topic for this year’s event is titled: “On Michigan Supreme Court Visionaries, or @LoriBuiteweg on @MiSupremeCt #Drivingchange and #Sbmfuturelaw” with “Memories of U.S. Supreme Court Justice Scalia” by Michigan Supreme Court Justice Joan Larsen. Register online for this year’s Luncheon. We hope to see you there!